MRF: How’s it goin’ Tyler? TB: Well first off it’s an honor to be speaking with you. I remember back in the day google searching photos from Raw in Halifax after the show was over. The only images were from your website detailing your overnight stay at Saint Mary’s after the show. This was you wasn’t it? MRF: That was my fifteen minutes. My friend Will used to document absolutely everything and put it on his website. But yes after WWE Raw in 2003, I ended up sleeping on the floor of the Saint Mary’s computer lab because I lived in Bedford and the buses weren’t running. Good times. So, let me start off by asking you, what made you get involved in professional wrestling? Did you want to be a wrestler yourself or did it stem more from wanting to work behind the curtain? TB: I’ve never wanted to be a wrestler but I’ve always been a big fan. That particular Raw in Halifax saw me sleep over night in February outside of Sobey’s in order to get front row seats. I swore I would never do that again. Then a few weeks later I found myself outside that same Sobey’s for an overnight stay to get front row seats to SmackDown (which was being taped the following night). At the time there was no social media and being a wrestling fan was an embarrassing thing to admit to your friends who didn’t understand it. Surprisingly there were a handful of other fans at those overnight Sobey’s experiences. We took joy in talking about our favorite memories of wrestling. One of the guys at Sobeys those nights was WrestleCentre owner Jason Mosher. When we started WrestleCentre my goal was to create a wrestling product that would appeal to a larger audience than what’s seen today on the indie scene. Contrary to WWE and TNA, we don’t insult our audience’s intelligence. We keep them on their toes with realistic, emotionally driven story lines that often blur the line of fantasy and reality. Because of this we’ve attracted a large female fanbase in addition to the standard ‘young male demographic’. Our matches are never ‘Wrestler A VS Wrestler B’. There is always a reason for the match. There’s also a reason to cheer one wrestler over the other, but because our characters are realistic, as opposed to the ‘one dimensional characters’ you might find on Raw, sometimes you’ll find yourself cheering for the guy the person next to you hates. MRF: It’s great that you give your fans that freedom to make those choices. WrestleCentre also doesn’t appear to be short on talent either. There have been a lot of stars that have worked for WrestleCentre, such as AJ Styles, Colt Cabana, and Christopher Daniels. 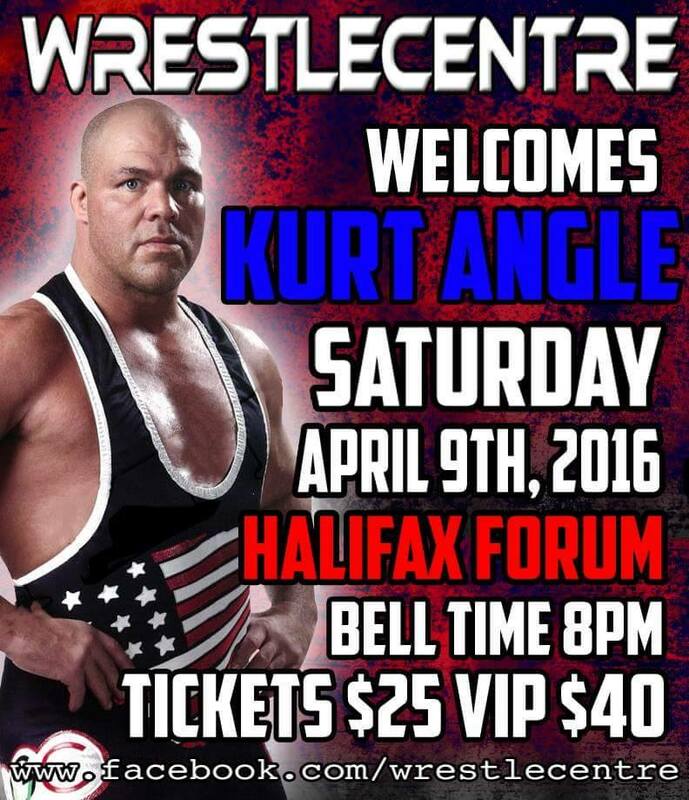 Even Kurt Angle will be making an appearance in April! TB: We’ve been lucky enough to bring in some major names. The first promo I ever wrote was for Bret Hart when I was commissioned to write angles for another wrestling promotion for an event in 2013. Bret Hart was my idol as a kid so walking in to his dressing room to tell him what I needed him to say that night was a daunting task. Bret turned out to be great to work with and seemed to respect the fact that I had given him something of substance rather than a traditional ‘Wrasslin’ style promo’. He ended up inviting me to dinner with he and his wife that night at the Split Crow. We spoke for hours about the lost art of psychology in today’s wrestling scene. I see it particularly on the indie scene. It seems most guys are far more concerned with learning a cool move on YouTube that will get a pop than they are telling a story in the ring. Bret rarely did over-the-top high spots, and he never started his matches with crazy spots, but by the end of the match he had the crowd going bananas for the simplest of moves because they were seeing the culmination of a story. MRF: Bret Hart was a master in the ring. I cut together a video for him at a show in 2010 and I did get to meet him, but I was way too nervous to say anything to him. He was also my hero when I was growing up too! Sadly, as many know, Bret is now battling cancer and we all wish him the best. He must have had a lot of respect for your work and that must have been a real treat to get to spend time with him and learn. Bret always used to make me question if what I was seeing was real or not. That is part of the magic! With that said, let me ask you about your thoughts on the many people’s reactions to the ‘scripted nature’ or professional wrestling. When an audience watches a motion picture or a television program, they usually will suspend their disbelief accordingly. When you see Superman on the big screen, you know it is not “real” and you know that ultimately Superman is going to triumph over the villain and save the day, but you will allow yourself to get caught up in the drama for your entertainment. There are people who have a problem suspending their disbelief in order to enjoy a professional wrestling show, hence they use words like “fake” or “phony” to describe it. Why do you think certain people have that disconnect? 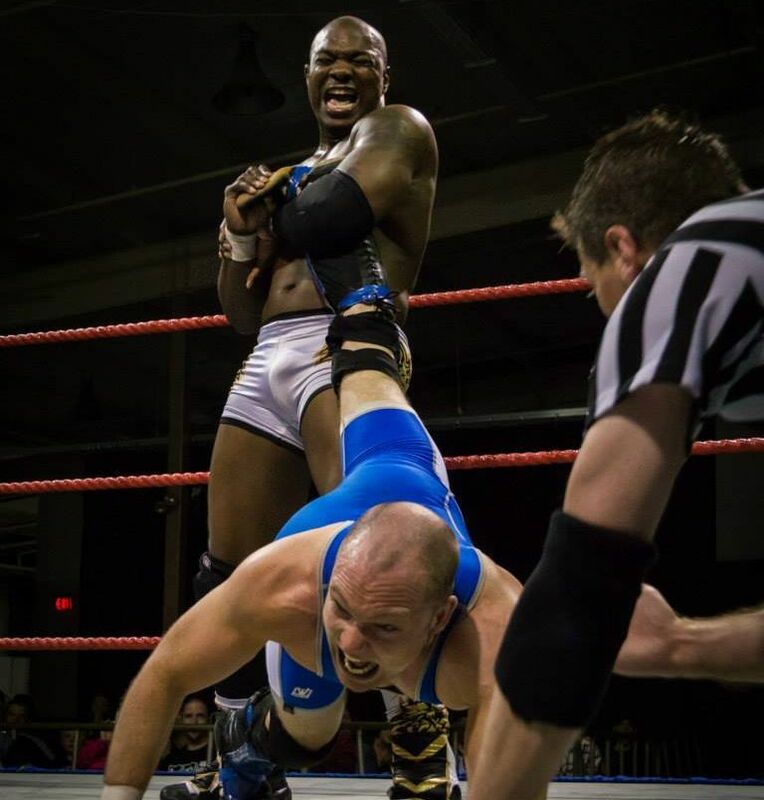 Former WWE superstar Shelton Benjamin in action against Julien Young in December, 2015. TB: I always find it amusing when people use the premise that because they feel wrestling is predetermined that it is not worth watching. Films are scripted and pro wrestling is far more real in my opinion than some people think. The physicality is unparalleled. We’ve had university football players and hockey players show up at our training facility and quit after 3 weeks. It’s incredibly physically demanding! As for the scripted aspect of it, pro wrestling is less predetermined than boxing. Many boxing matches today have a pre-determined winner, for sponsorship and investment purposes. In wrestling, the winner is very much up for grabs. For instance, during a match, I’ll be watching to see who is getting over, meaning ‘connecting with the crowd’ or ‘getting a response’. The guy that gets over during the match is going to move up the card, the guy that doesn’t will move down. It’s highly competitive as every guy on our roster is competing to hold their position on the card and move further up so they would earn more money. MRF: I have watched a handful of WrestleCentre videos from the YouTube page and there is one thing that stuck out to me that I wanted to ask you about. In several interviews, it appears as though the talent is not concerned with letting the audience in on the fact that the show is scripted. In the old days it was considered taboo to wisen an audience to the fact that the outcomes of matches were pre-determined and this was considered “breaking kayfabe”. Is kayfabe unimportant or is it that you simply are gearing your product towards a wiser audience? TB: Our audience consists of some of the most intelligent wrestling fans in the world. You mentioned the names we’ve brought in over the last two years. A common theme at our shows is me explaining to them that our audience is sophisticated and require more substance than a standard clap-and-grunt style of match. After the shows, the talent always approach me and tell me that that was the most intelligent crowd they’ve ever performed for. Some might look at this as a hindrance, but I enjoy the task of entertaining an audience that requires substance. It keeps us on our toes and it has elevated our roster to take their performances to the next level. 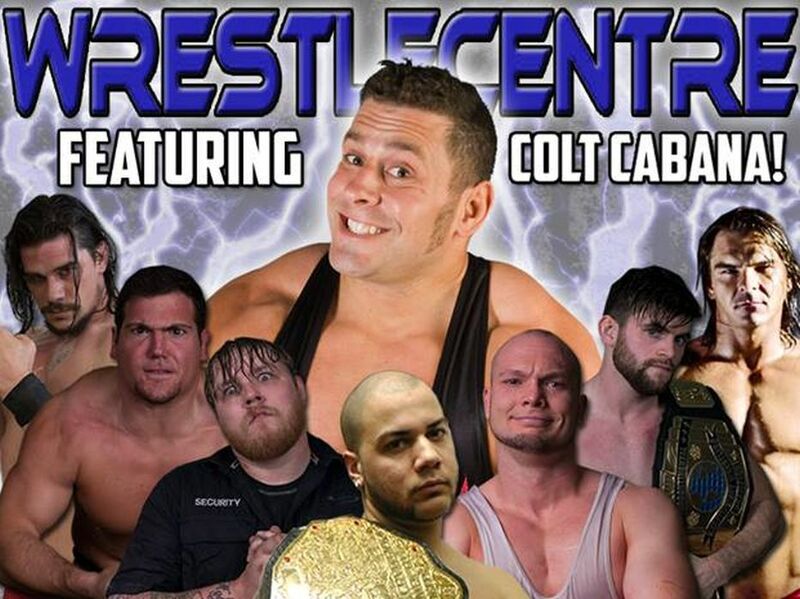 Upcoming WrestleCentre shows: April 8th in Cape Breton, featuring 2 Cold Scorpio, and April 9th at the Halifax Forum, featuring Olympic Gold Medal winner and WWE / TNA legend Kurt Angle. For readers who would like to connect with WrestleCentre you can like them on Facebook, follow them on Twitter (@WrestleCentre), and watch them on YouTube. Also, check out WrestleCentre’s Bell TV1 channel. 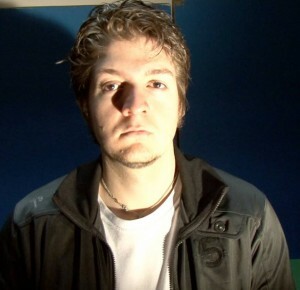 Michael Ray Fox is a filmmaker from Halifax, Nova Scotia. His first feature film "Roaming" was released in 2012. He is currently in development on the horror / comedy feature "G'naw".